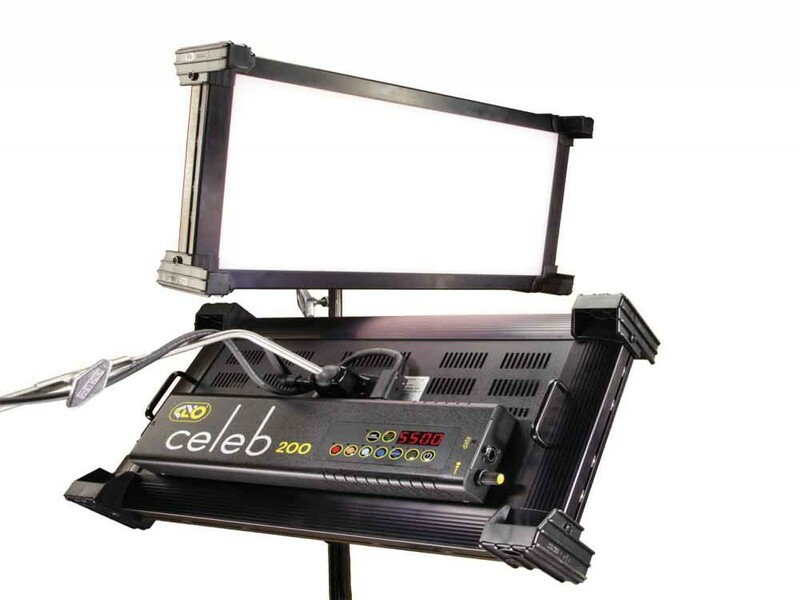 The Celeb boasts technical innovations that make it an ideal professional imaging tool: a dial-in variable colour temperature control, full-range dimming and programmable 2700K to 5500K presets. Light levels do not change when selecting Kelvin settings. Like the vaunted, award-winning line of portable Kino Flos, the Celeb 200 LED reproduces colour faithfully, beautifully on HD or film, in the studio or on location. The Celeb's 100 Watts of soft, lustrous white light doesn't flicker or shift colour temperature when dimmed.